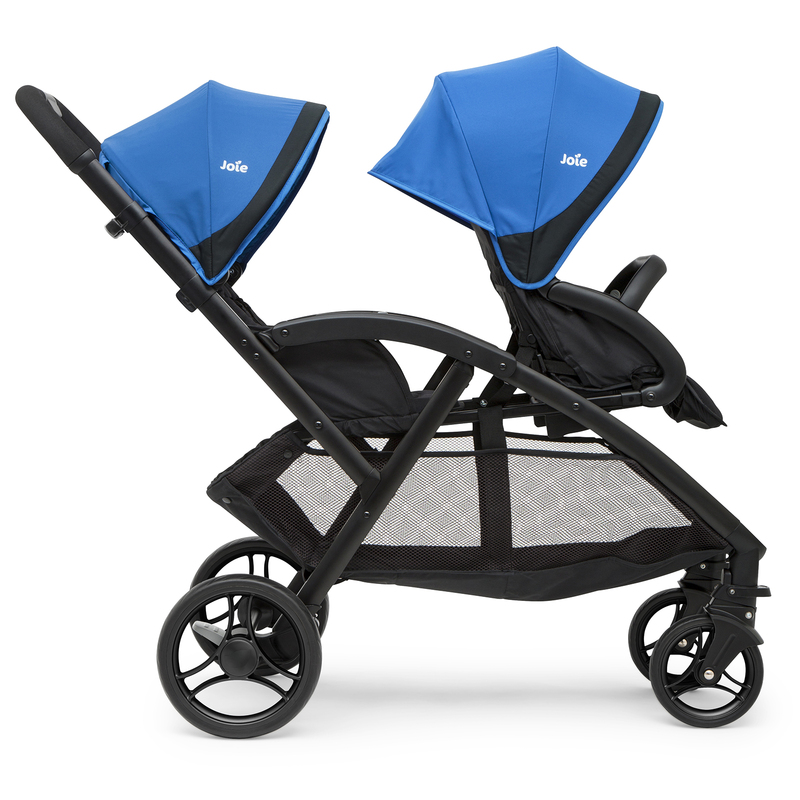 For parents who are in need of a double pushchair but are worried about their ability to manoeuvre such a large system, the Evaluate Duo from Joie is a fantastic solution designed and engineered to carry all the luggage without the load! 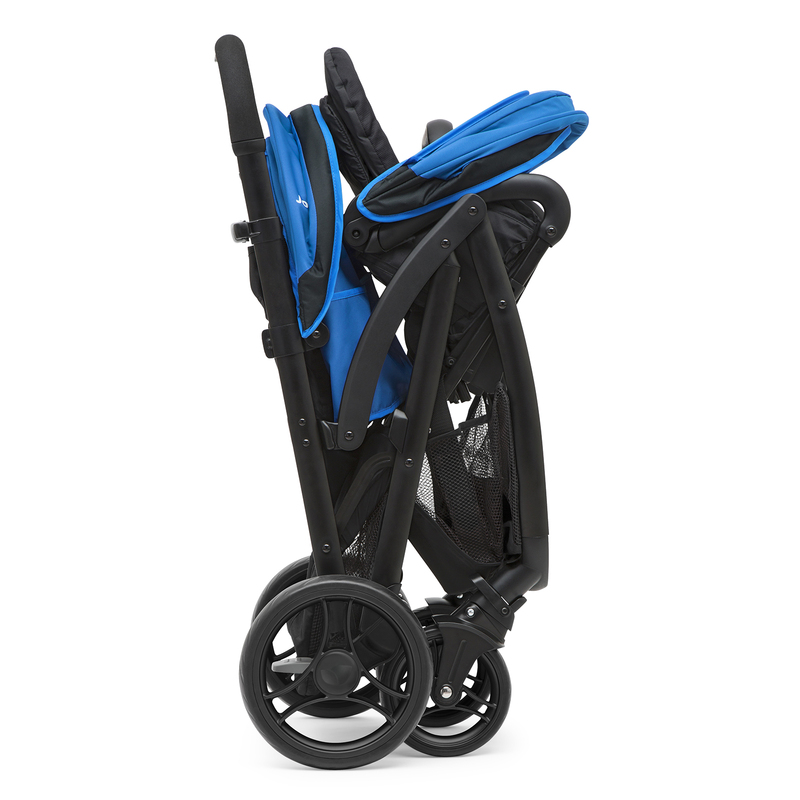 Weighing in at just over 10kg, the Evaluate Duo is one of the lightest double pushchairs available and will make travelling with two youngsters easier than you think. Suitable right from birth, the Evalite’s multi-positon rear seat unit reclines flat whilst the front offers a 1 position recline and both come equipped with SoftTouch 5-point safety harnesses with covers. 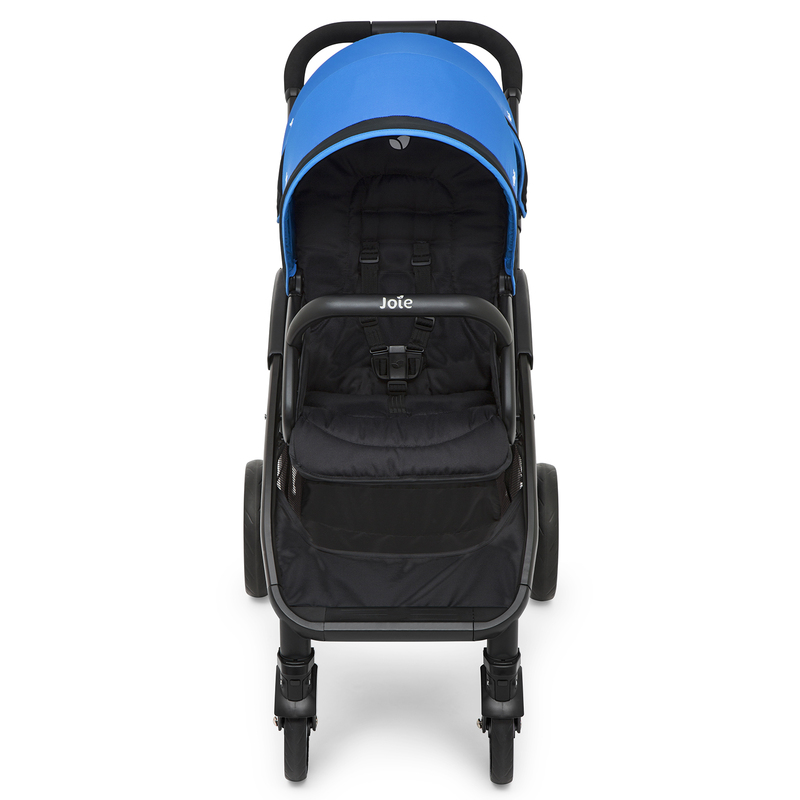 One hand is all that is needed to fold the pushchair (which is handy when you’re dealing with double trouble) and the Evalite folds down to a compact and manageable size which is flat enough to fit in most small car boots. Other features on offer come in the form of all-wheel suspension, single step ShowSaver breaks, large shopping basket and retractable hoods with viewing windows. The Evalite Duo, the luxury loaded tandem that’s ready to make travelling with two ‘twice as nice’. The desire to wrap your newborn in cotton wool is not uncommon. 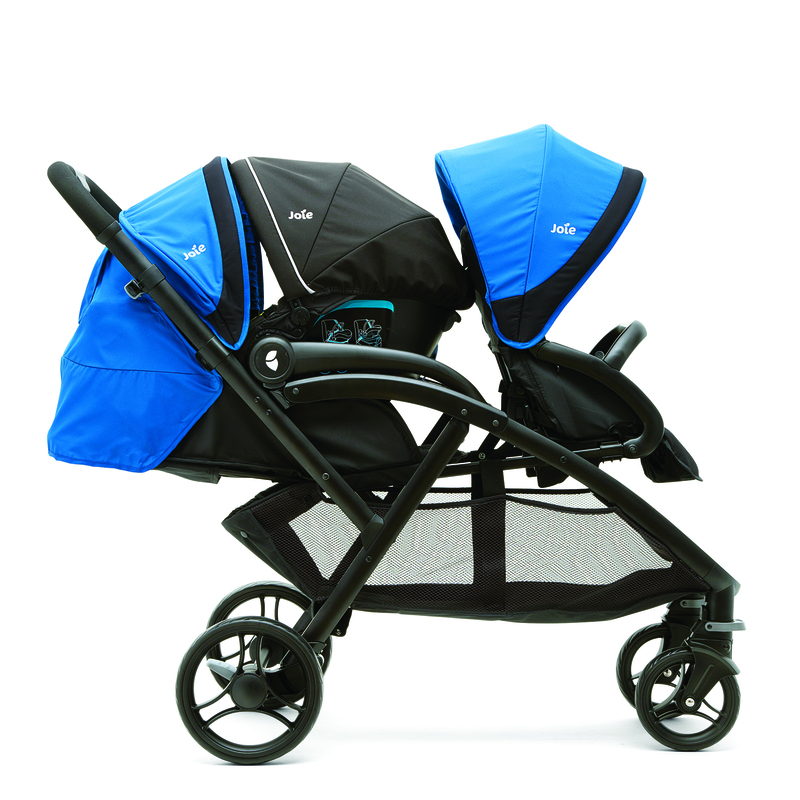 However, no amount of cotton wool will ever rival the protection the Gemm 0+ Car Seat / Infant carrier from Joie provides! 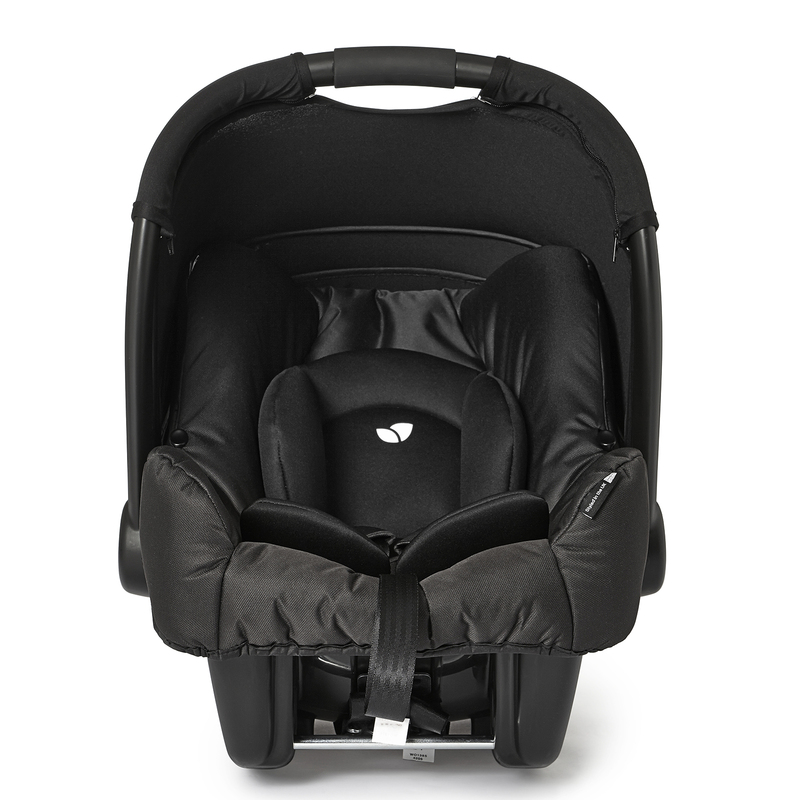 With impressive side impact protection, and wrap around coverage for the head and upper body, the Gemm is engineered with top-of-the line components in a modern, state of the art facility for the ultimate in car seat safety. The 5-point safety harness keeps the torso positioned safely in the middle of the seat at all times and the (removable) newborn pillow provides a perfectly snug fit for younger / smaller babies. 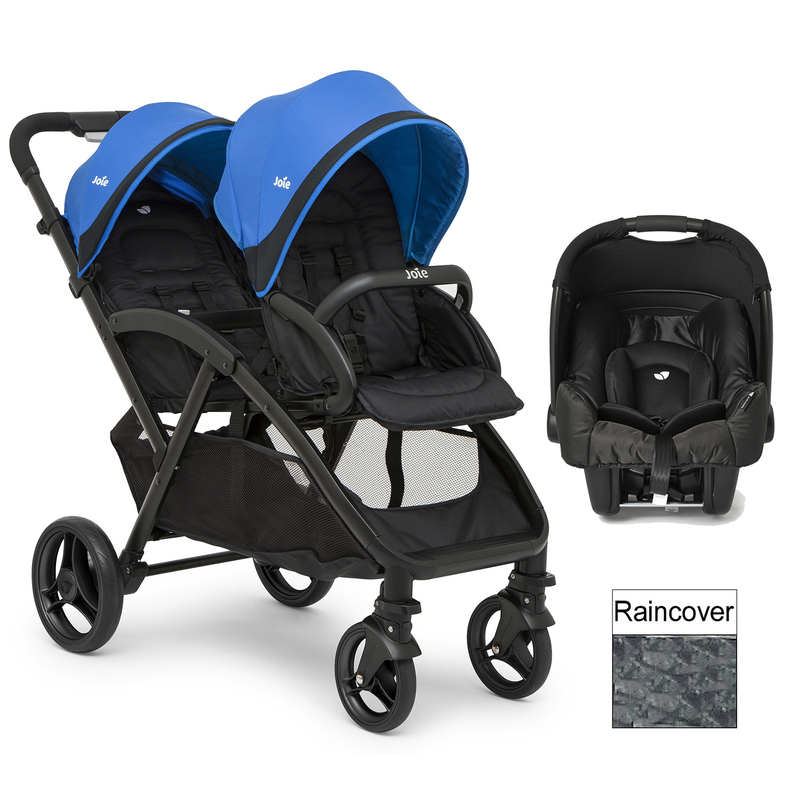 Conveniently attaching to the rear seat of the Evalite Duo without the need for tricky adapters, the Gemm Car Seat transforms your double stroller into a fantastic travel system. 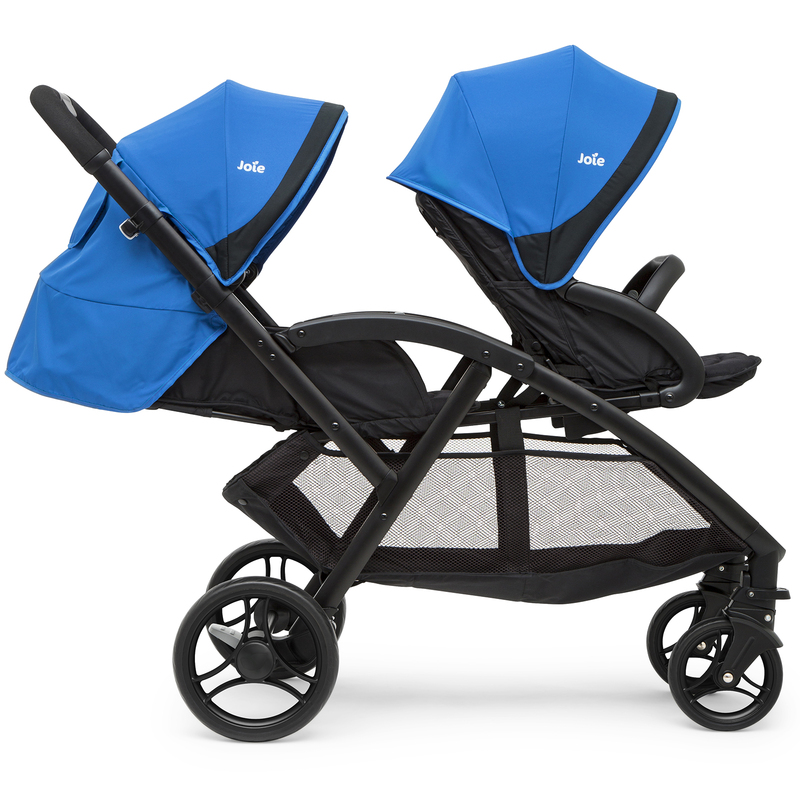 In regards to fitting the car seat in your vehicle, the Gemm can use the standard adult safety belt, or with use of one of Joie’s bases (sold separately) guaranteeing an easy and secure fit every time.